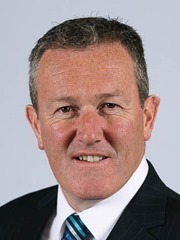 Conor Murphy (pictured) hosted the meeting in the Wilson Room of Portcullis House. The party is seeking to build support from the Irish community in Britain and has close links with the Labour left e.g. Ken Livingstone, Diane Abbott and John McDonnell. Sinn Féin has demanded that the governments back the Haass document although it has not yet been agreed by the parties in Northern Ireland. Murphy also called for the UK Government to cover the implementation costs, which have not yet been quantified. The party has an office in the House of Commons, led by Jayne Fisher, who writes a weekly review column for the website. Its MPs can use the facilities of Parliament but not its procedures as they abstain from taking the oath.